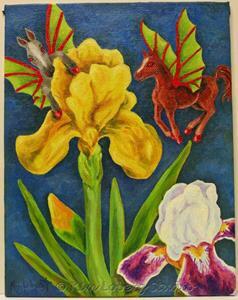 Iris are one of my favorite flowers. The iris in the painting are ones that grow in my flower garden year after year. 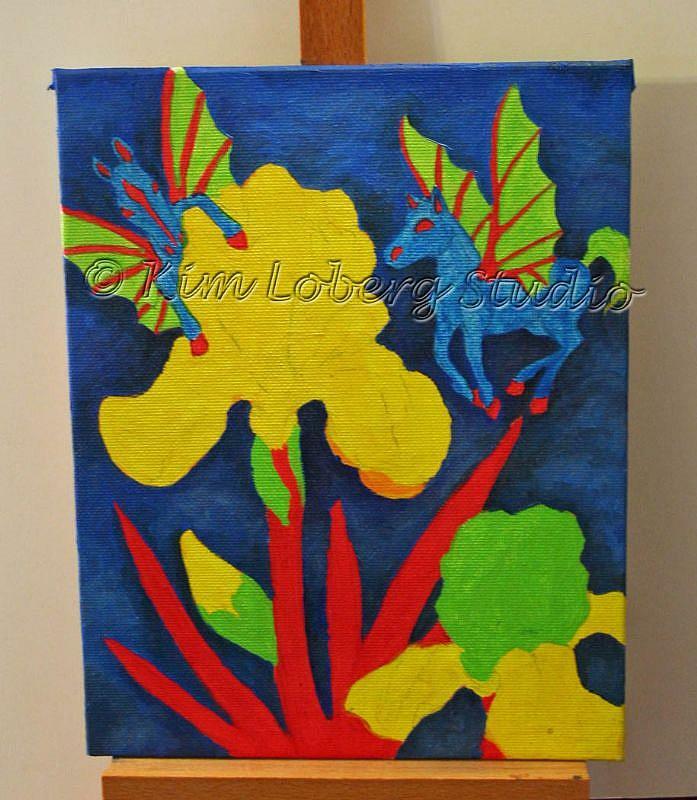 I chose a yellow iris and purple bi-color one for the composition because they are complimentary colors. 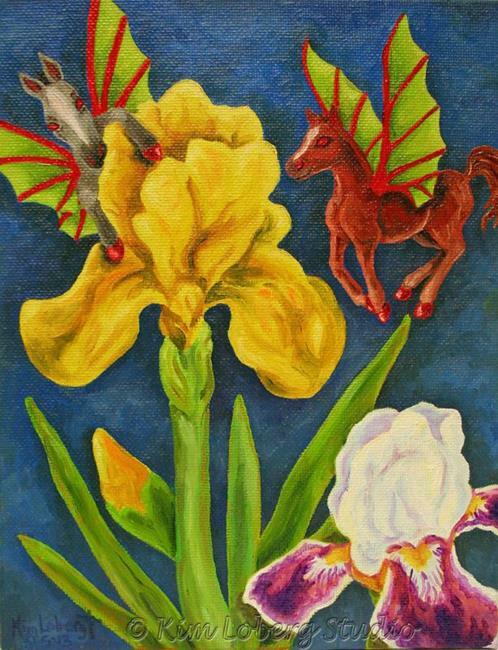 Of course, I couldn't help but include impish little fairy horse flies in the painting! The blue roan horse is fashioned after Reno, my middle daughter's horse. The strawberry roan is one of my mustang Dolly's colts. 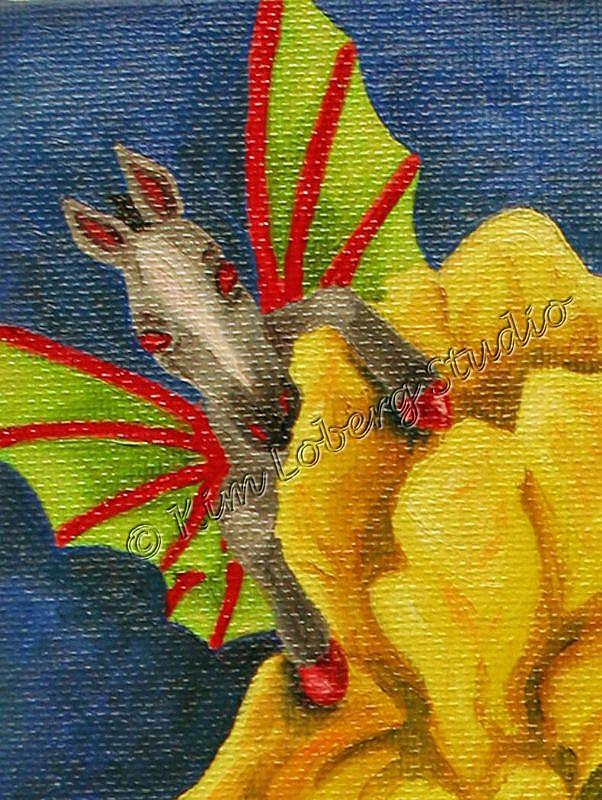 The original 7" x 9" oil painting 'Little Imp Fairy Horse Flies on Iris' is for sale. Please feel free to email if you're interested! Blue Roan Fairy Horse Fly close-up. 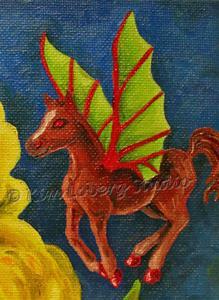 Strawberry Roan Fairy Horse Fly close-up.